When I was a student … there would be spillover crowds from the auditorium and people wouldn’t be able to participate,” Frenkel explained. “Now they can sit outside in a beautiful area and watch what’s going on inside and be a part of it. 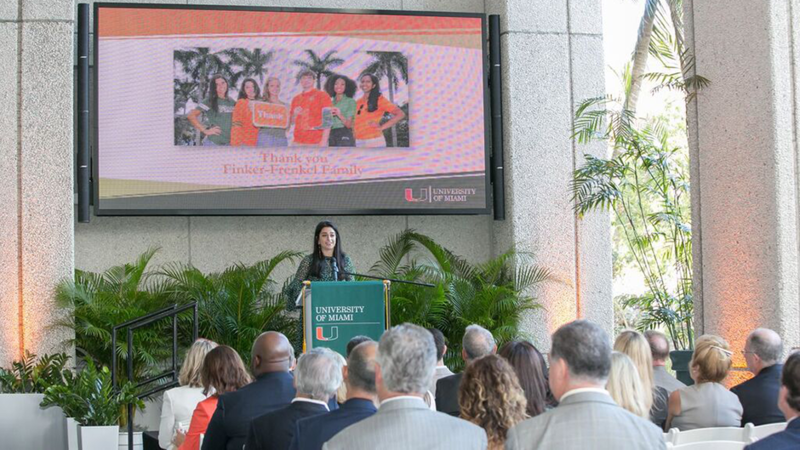 Through a significant gift, the Finker-Frenkel Legacy Foundation created the Business Plan Competition Endowed fund, which will forever finance the annual University of Miami Business Plan Competition, hosted by the School of Business. The foundation’s gift also financed renovations of the School’s outdoor promenade, which was dedicated Nov. 14 as the Finker-Frenkel Family Promenade. 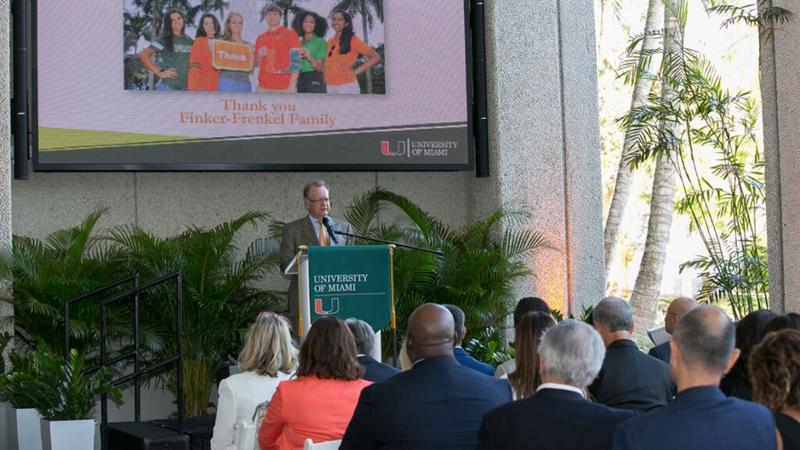 During the dedication, Frenkel shared that his favorite addition to the Finker-Frenkel Promenade, which is an outdoor study and gathering space, is an oversized screen. The screen is one of the largest at a business school in the U.S., and will carry live feeds from Storer Auditorium. 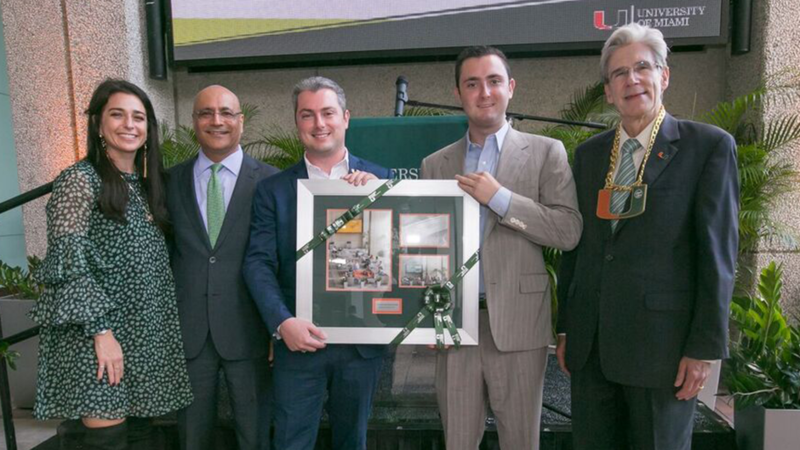 He also drew cheers by presenting Frenk with his very own Hurricanes Football turnover chain necklace – a copy of the hefty gold chain with a green and orange U that players get to wear when they force a turnover on an opponent. Frenkel also reminisced about his days as a student, singling out his favorite professor, Anuj Mehrotra, the School’s senior vice dean, vice dean for faculty development and research and Leslie O. Barnes Scholar and professor of management science.